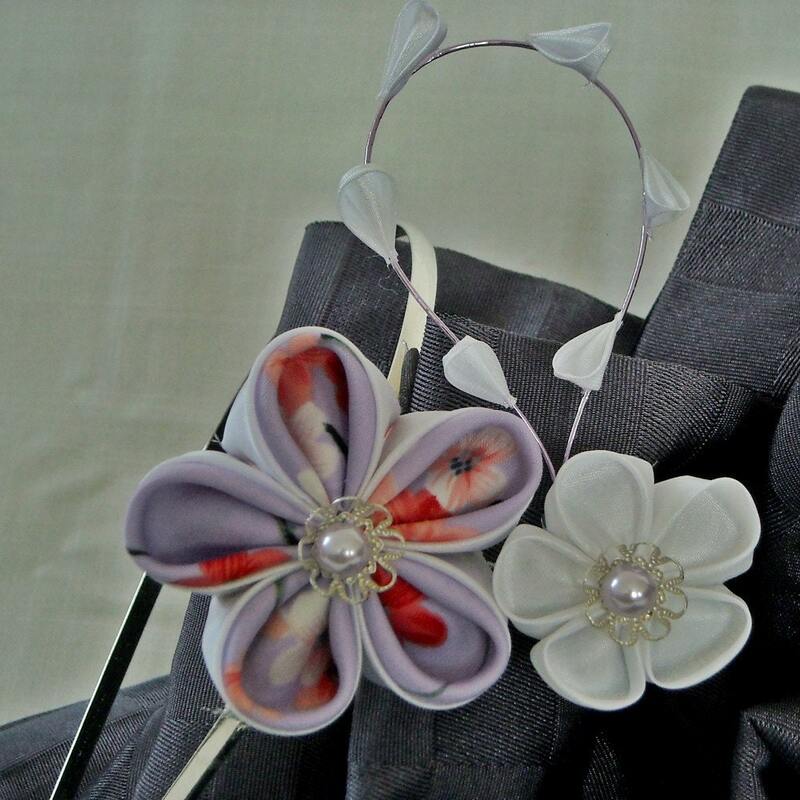 As my wedding is becoming closer I have create a few matching kanzashi sets for other couples to enjoy. 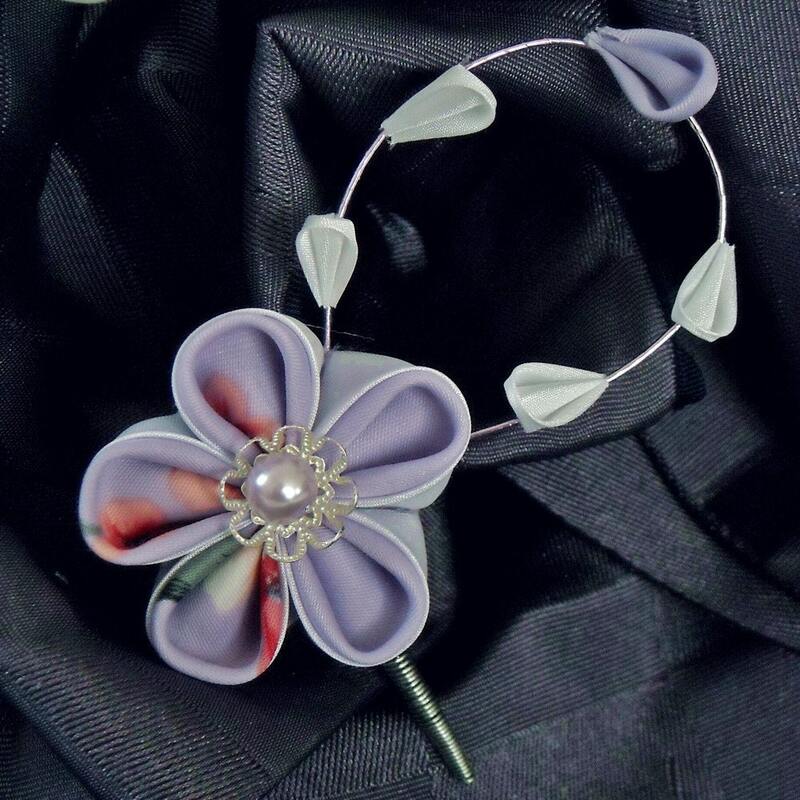 This one is called Dreamy Lilac! 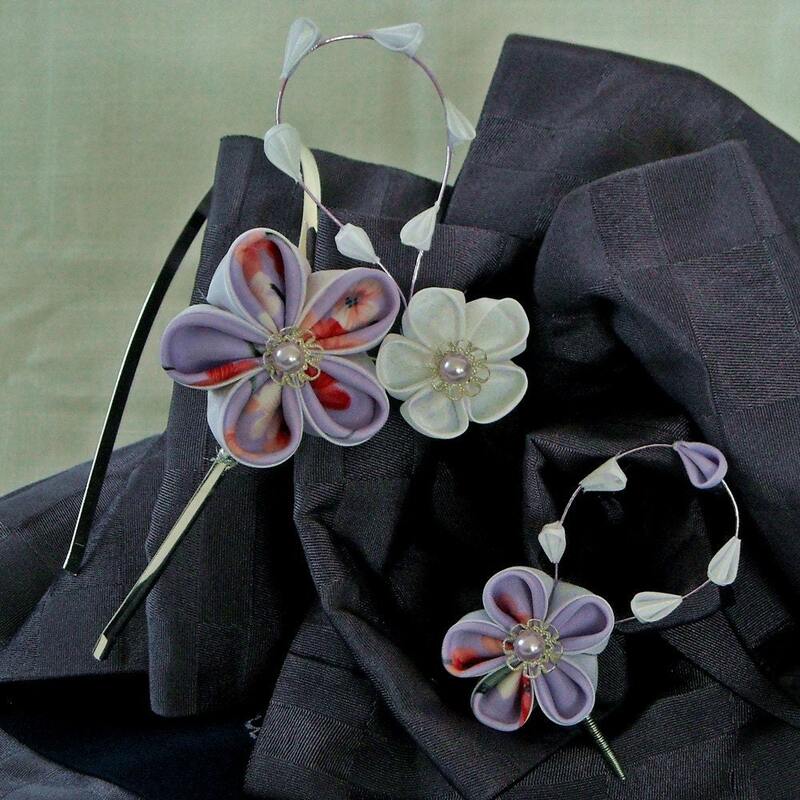 A charming matching set made from a vintage piece of kimono fabric to give the bride and groom something unique. 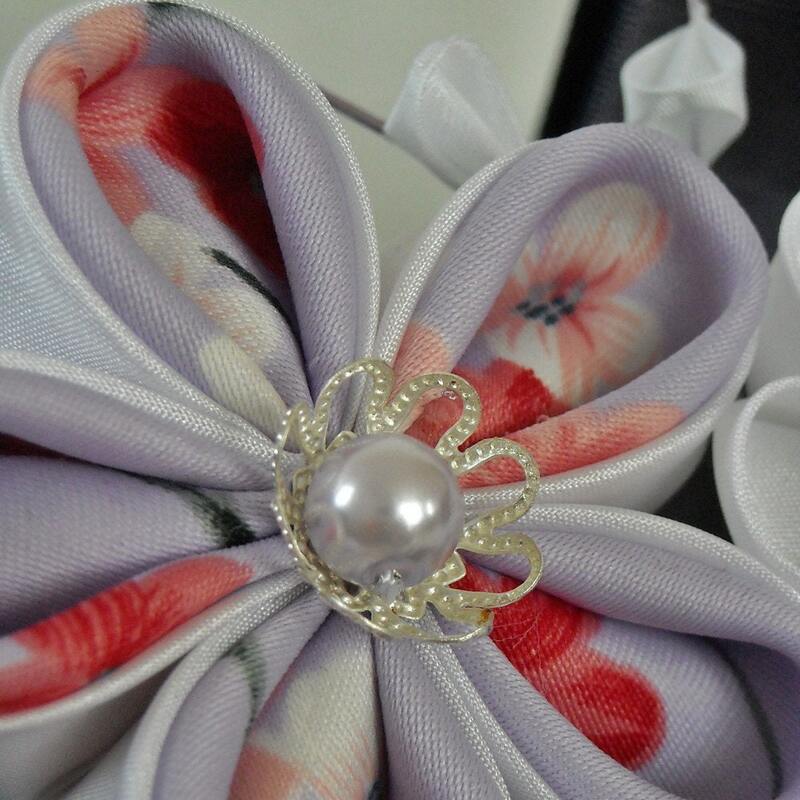 The hairband measures 17 x 15cm x 8cm while the buttonhole flower measures 9cm x 8cm x 2cm. It is priced at $100 (not including postage and packaging). 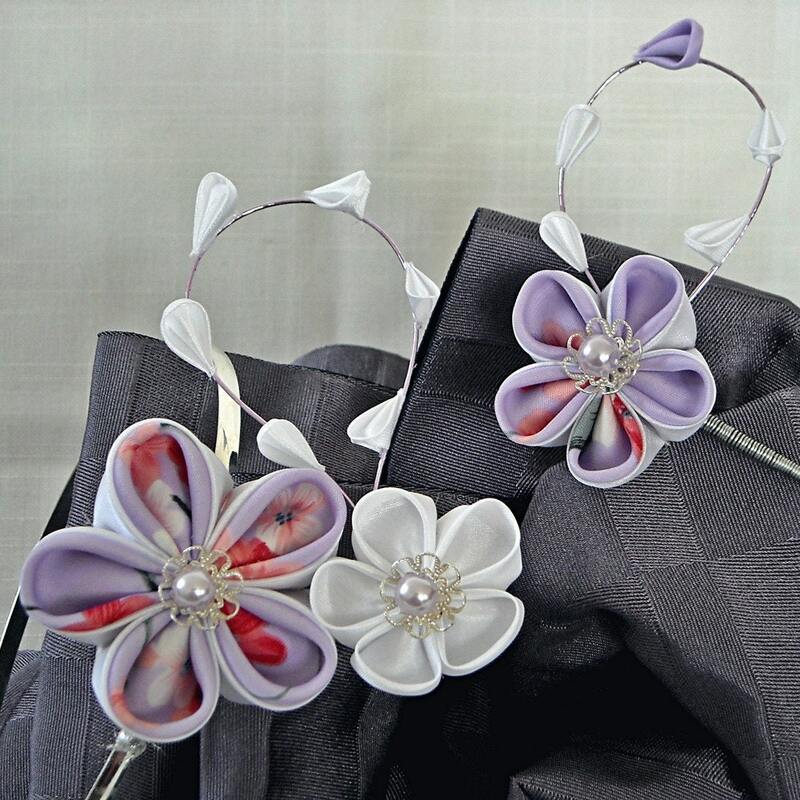 i don't ususally wear headbands but i would if i had one as beautiful! I think hair accessories should be worn everyday no matter what the weather maybe.